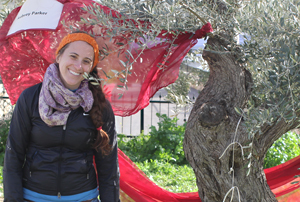 Alum Aubrey Parker Covers “Run Across Palestine” as Journalist series chronicling the event, and she plans to write an article on water issues related to olive farming for Circle of Blue. Parker is also pitching the story to other various media organizations. This entry was posted in News Stories, People in the News and tagged alumni, green, . Bookmark the permalink.